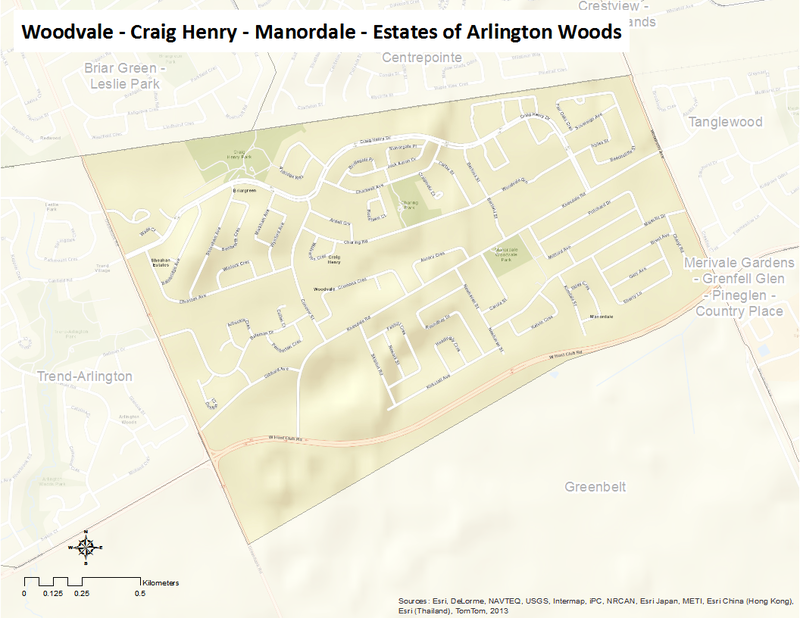 The Woodvale, Craig Henry, Manordale and Estates of Arlington Woods communities are bounded by the Ottawa Carleton Railroad line on the north, Hunt Club West Road on the south, Woodroffe Avenue on the east, and Greenbank Road to the west. Before the amalgamation to the City of Ottawa, these neighbourhoods were part of the City of Nepean. Craig Henry, now a mature community, was built primarily in the 1970s on land that previously belonged to the Craig Henry farm, and was developed by Jack Aaron.